Disruptive mobile operator 3 is further embracing the open network model, announcing on Thursday plans to allow users free Skype to Skype calls without having to pay data charges. From May 1, there will be no data charges or top up fees for either contract or prepay customers who use Skype on 3’s UK network. Anyone with a 3 Skype-enabled handset will be able to buy a 3 SIM and talk as much as they want to other Skype users without ever having to pay a penny. Then over the summer, 3 will expand its offering to include anyone with a 3 SIM and an unlocked handset, regardless of whether 3 supplied the device or not. The free usage allowance also extends to Skype’s instant messaging (IM) service. Russell claims that regular mobile Skype users are less likely to churn than non-Skype users, use more traditional voice minutes in addition to calling their Skype contacts, send more SMSes, and are more likely to browse the internet on their mobile. 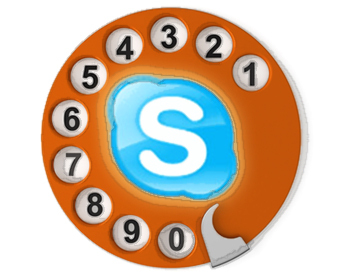 3 said its community of mobile Skype users enjoys 1.5 million minutes of free Skype to Skype calls every day at present. The phenomenon was kick started by the launch of the first 3 Skypephone in October 2007. Worldwide, Skype has over 433 million registered users. Commenting on the news, John Delaney, research director at IDC, said that, as the smallest of the UK’s five mobile operators, in a saturated market, 3’s position has always required it to behave like a challenger. “It does things the other operators are reluctant to do, and it tries to make a big splash about doing them. Today’s announcement of free Skype usage is squarely in line with that policy,” Delaney said. Where other operators display wariness or hostility towards Skype, 3 has embraced it and this latest move is deepening its association with the Skype philosophy of free communications over the internet. IDC reckons that most 3 Skype calls are made to PCs, rather than to phones, meaning they are not calls that substitute for mobile-to-mobile or even mobile-to-fixed phone calls. “Thus, we think it is unlikely that Skype will significantly cannibalise conventional call revenues, at least until the number of Skype phones reaches a much higher percentage of total phones in use. If the number of Skype phone users in the UK gets into the tens of millions, voice cannibalisation will become a more pressing issue – but we suspect that’s a problem that 3 would love to have to deal with,” Delaney said.